To download our cross stitch patterns related to the cursive alphabet cross stitch sampler, click on the word “cursive” that is listed in the Related Keywords below. 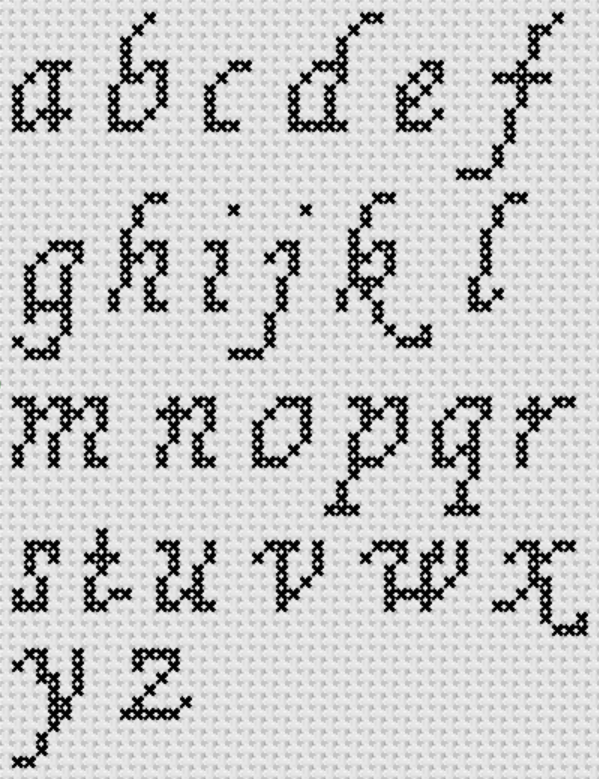 To view other alphabet samplers in our cross stitch patterns collection, just click on the word “alphabets” in the Related Keywords. Check out our other free cross stich patterns which you can download. We do our best to ensure that the projects are fun enough for beginner stitchers, and interesting enough for experienced stitchers. If you are looking for any particular cross stitch design but can’t find it anywhere else, why not tell us about it and let us help you find one? We’ll make your charts available for free download. Please support our web site by linking to CrossStitch4Free.com in web sites, forums and blogs.